Today I want to pass along a couple of links to sites that may be of interest, particularly if you are doing digital or hybrid projects. The first is Lettering Delights. I am not sure if they are part of Provo Craft, but I have found that they have many of the same images that are on the Cricut cartridges in digital form. The picture at the top of this post was made using items from the Oriental Garden Collection. They are the same as items on the Pagoda cartridge. I haven't had a chance to make a full project yet (I just bought these yesterday) but I think it would be fun to do cards that have the Cricut cuts on the front and some of the coordinating images printed inside. There are hundreds to check out - lots of really nice sets of images and fonts too. They also have printables for party favors and cards. The other is a brand new site Design House Digital. They officially opened yesterday! If you sign up for the newsletter you will get a great freebie kit designed by Jen Allyson. There are also three freebie kits for the month of January. I am looking forward to exploring this site some more - there is a forum and there will be classes, challenges, and lots of fun things to do! 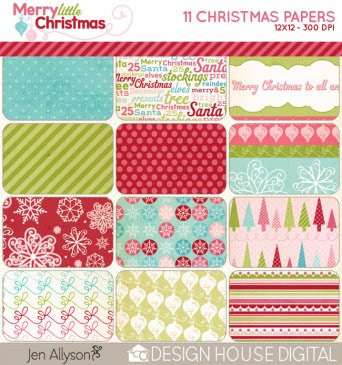 Design House Digital has quite a roster of fabulous designers including Deena Rutter, who designed the Cricut cartridges Storybook and Stand and Salute. Have fun exploring these sites. It is snowing here - again! We finally got our older son's boxes mailed to him (he traveled with only carry on bags so we had to mail nearly all of the Christmas gifts he received to him in California). The day was full with an afternoon movie (Sherlock Holmes) and dinner out so I didn't get much time to do Cricut projects. Not much organizing progress today either....oh well, tomorrow is another day! Thank you, oh great enabler. What a fabulous find! Thanks for the links to these digital sites!!! Hi Diane - Happy New Year ! Thanks for the Digital sites. They are cool. I am wondering could you scan in an image of a cut you make with your cricut and then use CM Design Studio to alter/color it ? Then you could make your own digital images ? I just got back into town from having "Christmas" with my 6 yo DGS who was in France over the holidays with his other grandparents - boy did we miss our usual Christmas!!! Anyway, I just wanted to tell you how much you are appreciated and that I will be catching up on all your info this week - thanks!!!! 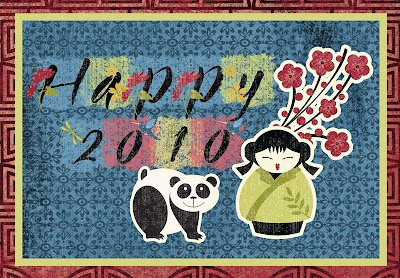 and have a fantastic 2010!! Hi Diane. I have been on Lettering Designs since I read your post earlier!! Thank you, thank you.